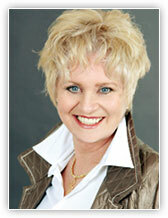 February 11, 2014, Guest: Dr. Yvonne Oswald join us for a fireside chat about the power of words. 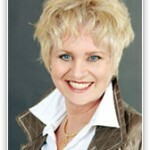 Dr. Yvonne is a National U.S. award winning pioneer in the field of personal growth. Voted a 2010 Woman of Influence and Inspiration by the Ministry of Government Services, Ontario, and Chair of the Board of Toronto Youth Day, she is a renowned and respected Communications Trainer and Keynote Speaker, and a Master Trainer of Hypnosis and NLP. Nominated for the COVR Visionary award for her unique CD “Mind Magic”; her way to release negative emotions and limiting beliefs in less than a minute, she has an outstanding reputation for her exciting, innovative and interactive seminars. A British born, qualified teacher with 20+ years’ experience, Yvonne helps every audience (live, radio/television) clear issues and quantum leap their personal growth and life choices. Her best selling book, “Every Word has Power,” now in ten languages, was published by Atria/Beyond Words, who brought you The Secret.